Earlier this month a conference was held in Longyearbyen, a tiny, frozen town in the Arctic Circle. Though small in scale, the conference was packed with an intense programme, featuring some 80 papers from researches from a vast range of disciplines, all on the theme of ‘darkness’. As one of the fortunate 80, it is with great pleasure that I am now sharing with you some highlights of the conference and of this rather lightless place. First, some practical information about the conference. It is organised by Island Dynamics, a research institution that aims at ‘producing and communicating island, coastal, and marine knowledge through conferences, publications, research, and research support’. Ever since its establishment in Shetland in 2009, Island Dynamics has organised a series of conferences at various locations on starkly different themes. One of these locations is Longyearbyen, the largest settlement of Svalbard, a Norwegian archipelago in the Arctic Circle. It has been a favour of the Island Dynamics conferences; since 2013, five conferences have taken place at this – at first sight – rather unthinkable location. Curiously, many of these are on themes on or related to folklore, mythology, the marginal and the supernatural, suggesting the imaginative and creative potential of remote and extreme landscapes. Indeed, this year’s conference – on the theme of ‘Darkness’ – reflects precisely this correlation. Although paper titles and research fields are marked out by diversity – ranging from medieval literature, post-medieval folklore, Gothic literature, horror films, speculative fictions, architecture and art, cinematography, science, a central theme is nevertheless easily detectable: though we may not see in the dark, we see more than we can during daylight with our minds, for darkness and isolation help you to concentrate on the inner world. Whether it is your true self, faith, or fear that you discover in the landscape of darkness, imagination starts to run wild where lights are gone. Despite the conference’s interdisciplinariness, a fairly large amount of papers focused on medieval topics. Some deal with figurative darkness, such as linguistic darkness (in the sense of obscure, riddle-like language): Dr Elizabeth Boyle from Maynooth University discussed the metaphorical use of darkness in narrative literature and the concepts of darkness in both the vernacular and the philosophical. In these cases, darkness is a state of mind, or a state of ignorance and incomprehension; it symbolises lack of clarity, understanding or knowledge. Some deal with physical darkness or the perception of it: for instance, two papers focusing on Greco-Roman materials examined darkness and its association in Roman laws and literature, and the distinction between erebus (‘darkness’) and nyx (‘night’) in Greek cosmology. The boundary between the figurative and the physical, however, is often blurred, and the dark landscape is often used to highlight and to imply the character’s mental darkness, which can be manifested as negative emotions, questionable moral/spiritual status, or just being under very pitiable circumstances. I analysed a 14th-century Icelandic poem (Úlfhams rímur) based on the concept of psychogeography: in literary works, the image of winter and darkness can allow us a glimpse into the character’s emotion and to understand the impact of traumatic events – in the case of Úlfhams rímur, werewolf transformation and encounter with a draugr (a zombie-like undead) – upon the character’s mind. Daniel Redding-Brielmaier (University of Toronto), discussed the usage of darkness in Old English and Welsh verses to emphasize the transitory nature of the earthly world: the physical setting of the verses in a landscape darkness easily translates into the psychological setting of both the characters and the audience. This idea holds even when we move away from the Middle Ages and venture into different eras and media. Two papers that I particularly enjoyed and found relevant to the field of medieval literature are respectively on Jaws (Michaela Thompson, Harvard University) and on Star Wars: The Last Jedi (Ruth Booth, University of Glasgow). The first one deals with our fear of the deep and the unknown; here, darkness is an alien space, into which we project our fear, curiosity, and fascination. In the latter, darkness becomes like a place of self-discovery and self-construction, very much along the same lines of Redding-Brielmaier’s paper; for Rey, the cave where she came into contact with the Dark Side is also an empowering space, so that she can grasp a better understanding of both the Force and of herself. The other papers presented at the conference, though I do not have enough space to introduce them all, are just as stimulating and interesting; they cover a wonderful range of topics but at the same time are related and relevant to each other. Together, they show just how rich darkness can be as a research theme: it is both physical and psychological; it can be treated as a natural phenomenon and as a metaphor; it can be loss, sorrow, and oblivion, but it also be a unique opportunity for us to face our true self; it lies in the centre of the universe, but it at the same time can be pushed to the margin and become a metaphor for monstrosity and the socially unaccepted. Most importantly, darkness is where the light ends but the imagination begins. 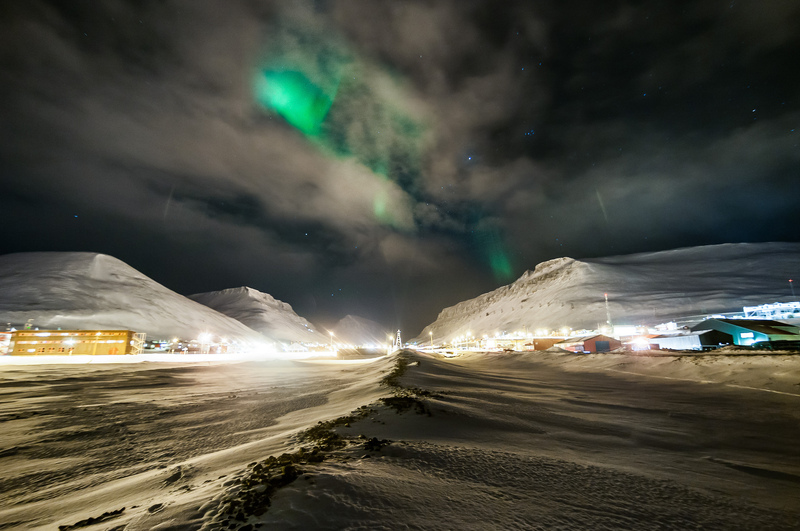 The information about the conference can be found at https://darknessconference2019.wordpress.com/, including not only the full academic programme but also practical information about Longyearbyen, Svalbard, for anyone who wishes to know more about this peculiar place. Information on the organisation can be found at https://www.islanddynamics.org/.